Home Blogs 6 Fun Things To Do With Your Kiddos in LA This Summer! Mommy I’m bored! What are we doing today? Can we do something fun? LA is full of fun day adventures for your kiddos. Here is a list of a few great places that are fun for parents and for kids. Outdoor Movies (Street Food Cinema)– Get your child off the screens at home and into the outdoors! 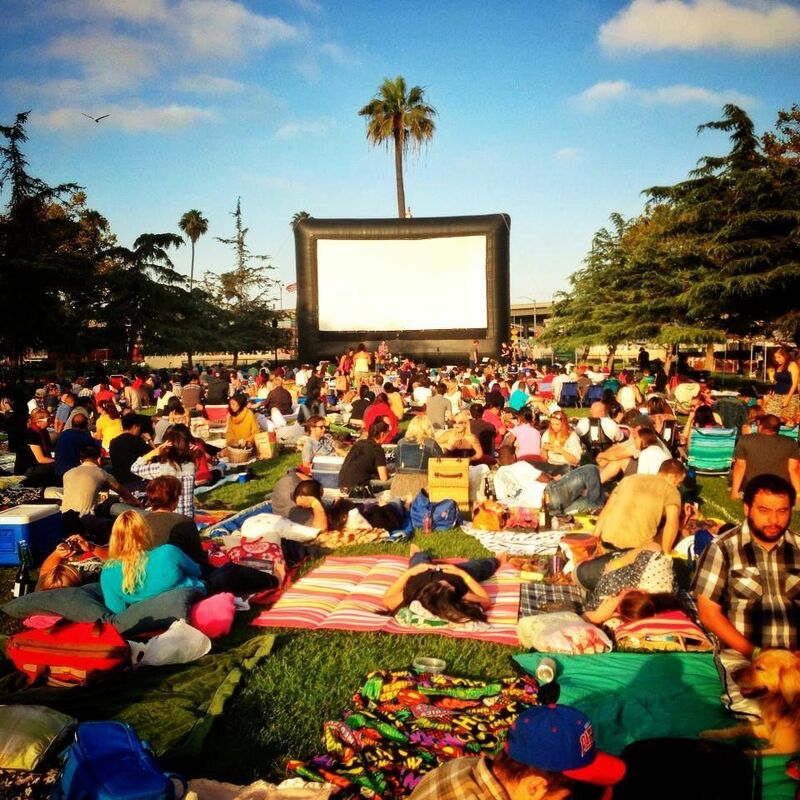 Have a picnic under the stars while watching a family friendly movie in some of the best parks in LA. Street Food Cinema is more than just an outdoor movie. It’s an experience. Bringing together the best in pop culture films, gourmet street food and progressive new music. LACMA– Let your child be a tourist in their own city! Museums are great way to expose your child to various cultures, arts, and history in a fun and hands on way. LACMA has many different children’s art classes, from oil painting to clay and acrylic. Wow! Babies as young as 9 months can appreciate a beautiful painting or a unique sculpture, its never too early to expose your child to culture. Field Trip at The Library– Take your child on a fun scavenger hunt at your local library! On hot summer days its the perfect outing with your kiddos. Show them how to look up their favorite books or themes like (Ocean, Dinosaurs, Puppies and Fairies). Give your child the call number for the book and go on a scavenger hunt in between the magical library aisles! You will be surprised at how much fun this is for your child while also being educational. Most importantly, it will get your child comfortable being in a library setting. Yay! Beverly Hills library has a brand new and magical kids space with lots of fun classes and story times for kids. Paradise Cove Beach in Malibu– Kids love the freedom of being at the beach. What a great way to expose your child to the wonders of nature! Paradise Cove is one of the best family beaches in LA. It is clean, kid friendly and extremely convenient with lots of parking right by the entrance. So, if you are schlepping toys, food, chairs etc its a breeze. There is a little kiosk for cold drinks and lots of shaded areas. Family Hike– Take you child on a hike with the family. Let them explore the unpaved paths and climb rocks and trees. Let their imagination wonder and give them the space to work and explore all of their five senses. Beverly Hills Farmers Market -The Beverly Hills Farmers’ Market is one of the best, freshest organic markets in California and its a blast for the kiddos! Farmers market is a great way for your child to explore new flavors, new smells, different textures and learn all about seasonal fruits and vegetables. Fun! Beverly Hills Farmers market sells vegetables, juices, breads, specialty items and much more in a festive outdoor setting. They even have fun activities for kids like: baking classes, petting zoos and puppet shows teaching the kiddos all about healthy nutrition. Wow!